Ukraine’s aircraft maker Antonov has offered one of its planes to US President-elect Donald Trump for use as Air Force One instead of Boeing. “Maybe it is better to consider Antonov aircraft as Air Force One?" the Kiev-based company wrote on its website without elaborating on on how much the US government would have to pay for the proposed replacement for the presidential Boeing 747 jumbo jet. — Antonov Company 🇺🇦 (@AntonovCompany) 7 декабря 2016 г. ​Donald Trump had earlier complained about the $4 billion Boeing had asked to build a new 747 Air Force One for future US presidents and threatened to cancel the order. ​The US president currently uses a pair of Boeing 747-200B jets built about 30 years ago. The new ones are slated to be ready between 2023 and 2024, which means that Trump will be able to fly on them only if he is reelected. In January Boeing was contracted to design a new generation of presidential jets based on their Boeing 747-8 for $3 billion. Antonov Concern was founded in 2005 as a joint venture with the Kiev-based design bureau of the same name. 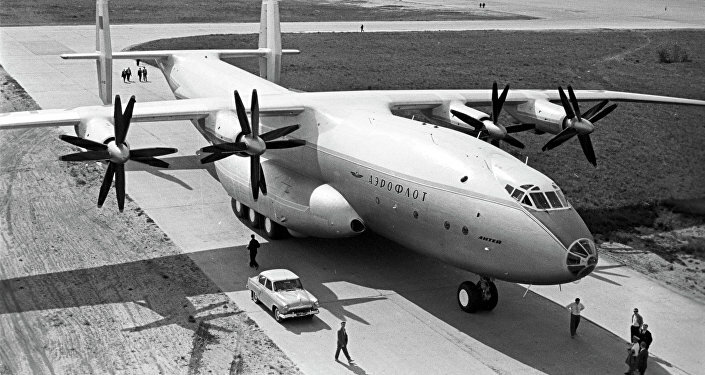 Established in Novosibirsk in 1946 as a top-secret Soviet aviation design and research bureau, Antonov was relocated to Kiev in 1952. Among the company's best-known aircraft are the giant An-124 Ruslan and An-225 Mriya cargo planes. The An-225 is the world's largest airplane, built to carry the Soviet Buran shuttle orbiter.